« Poll: Eagles vs Cardinals – Who Wins Sunday’s Matchup? It’s now official, the Eagles will be without wide out Jeremy Maclin Sunday when they travel to Arizona to play the surprising 2-0 Cardinals. Maclin did not practice Friday due to the hip injury he’s been plagued with, and has been ruled out by the team. The Eagles are hoping he can return for the huge week four game vs the New York Giants. 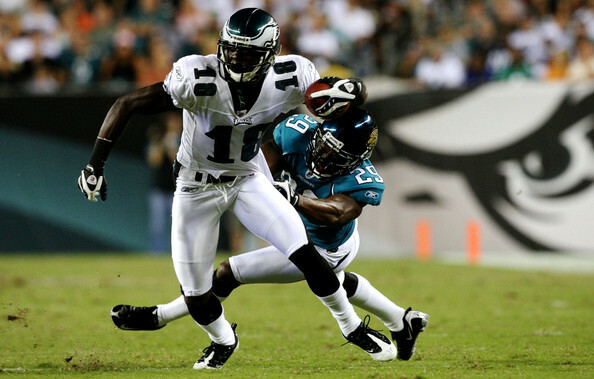 With Maclin out, Michael Vick will look more to WR DeSean Jackson and TE Brent Celek as the Eagles try to fly to 3-0 in the desert.